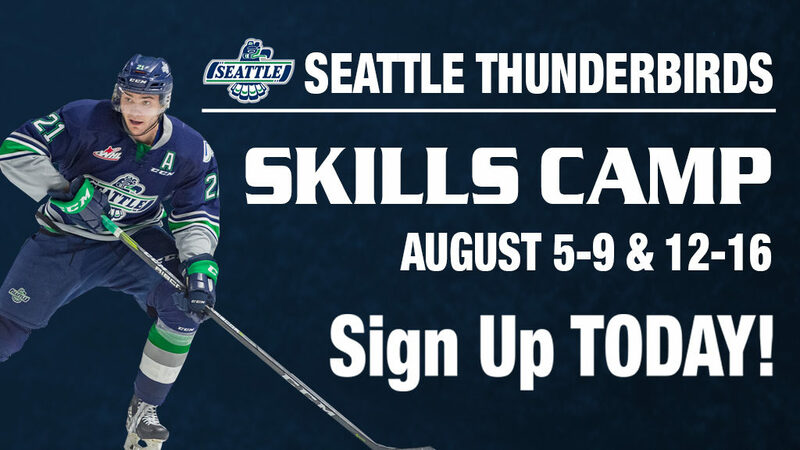 KENT, August 24, 2018 — Seattle Thunderbirds general manager Bil La Forge today announced left wing Lucas Ciona has signed a WHL Standard Player Agreement with the team. Ciona, from Edmonton, Alberta, was selected by the T-Birds in the second round, 32nd overall, at the 2018 Bantam Draft in Red Deer, Alberta on May 3. 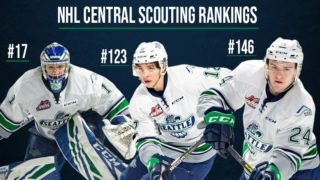 He was the first of two second round picks by the T-Birds. 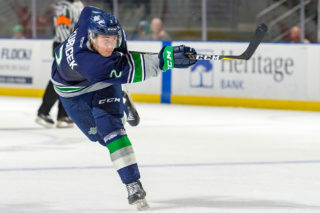 Conner Roulette, taken 34th overall by the T-Birds in the Draft, signed with the team on June 5. Ciona played with the Northern Alberta Xtreme Bantam Prep team last season and had 13 goals and 35 assists for 48 points in 30 games. T-Birds co-owner Lindsey Leckelt, Curtis Ciona, Lucas Ciona and Natashia Ciona in the T-Birds locker room prior to Lucas signing with the team. “We are very proud of Lucas and it’s great to see his hard work pay off,” said Lucas’ mother Natashia Ciona. “It’s awesome to see Lucas reach a goal he set for himself,” said Curtis Ciona. Ciona is the fourth member of the 2018 Bantam Draft class to sign with the team. 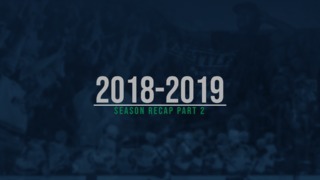 Conner Roulette, from Winnipeg, Manitoba, the T-Birds second second-round in the 2018 Bantam Draft signed on June 5. Mekai Sanders, from Gig Harbor, Washington was the team’s ninth-round selection and he signed on June 19. Kai Uchacz, from De Winton, Alberta, was the team’s first-round selection and he signed on August 20. By signing a WHL Standard Player Agreement, Ciona is guaranteed a WHL Scholarship for every year he plays in the WHL. A player is able to attend any career enhancing institution of his choice, including universities, colleges, technical institutes, trade schools, or any other institution which will help the player achieve his academic and career goals.